We had to share! We will debut two more collections at Quilt Market; Mod Squad and Next Stop, and both collections are a Spring 2012 delivery. 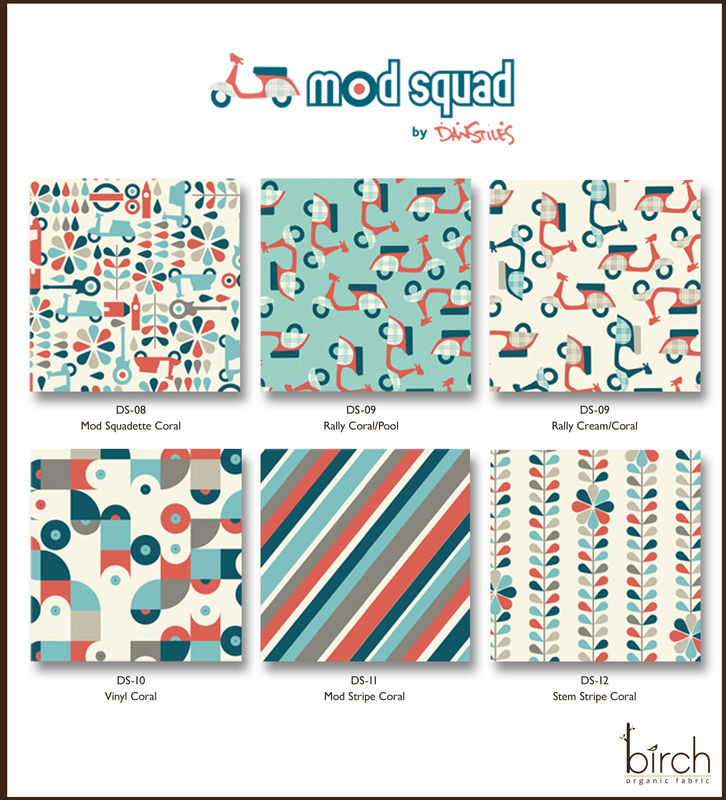 Today we are sharing Mod Squad with you, another fabulous collection designed for us by Dan Stiles. 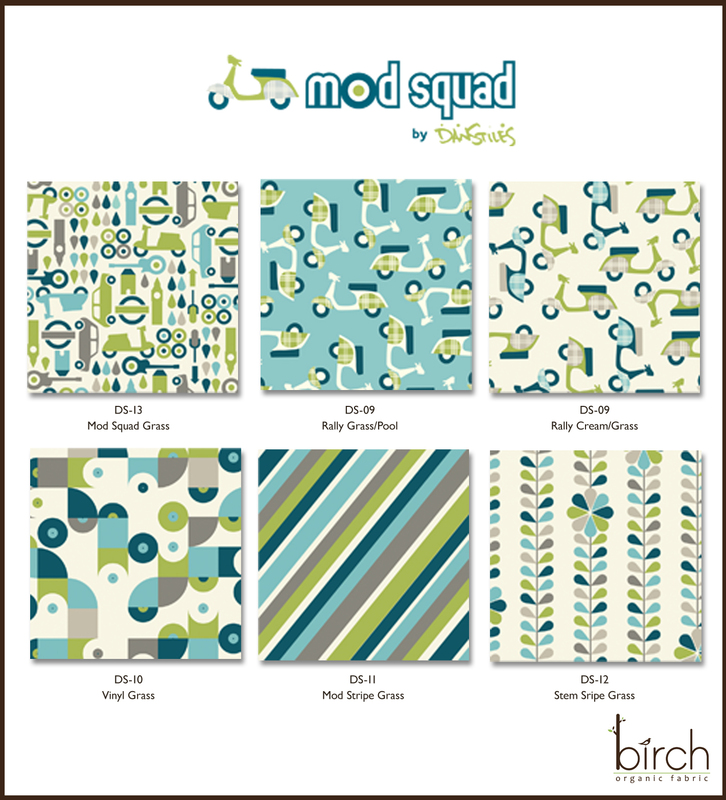 Mod Squad is being launched in TWO color-ways; Grass/Cream/Pool and Coral/Cream/Pool. We can’t figure out which one we like best…so please let us know which one is your favorite. So start your scooters and let’s Mod Squad! See you at Market, booth #1548-1550. "We are the Mods, we are the Mods, we are, we are, we are the Mods!" (Quadrophenia quote) Love it! You can never go wrong with scooters, but I think I prefer the blue/green. Loved your booth at market, it was nice to meet you both. I'll send you a link when I post pictures of your booth on my blog. Thanks for sharing your talents.